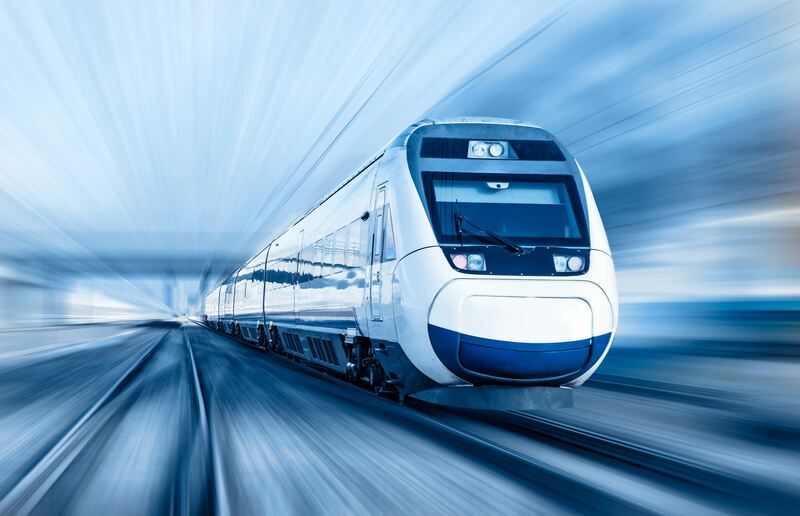 A stock photo of a high-speed train. Credit: Muratart/Shutterstock. 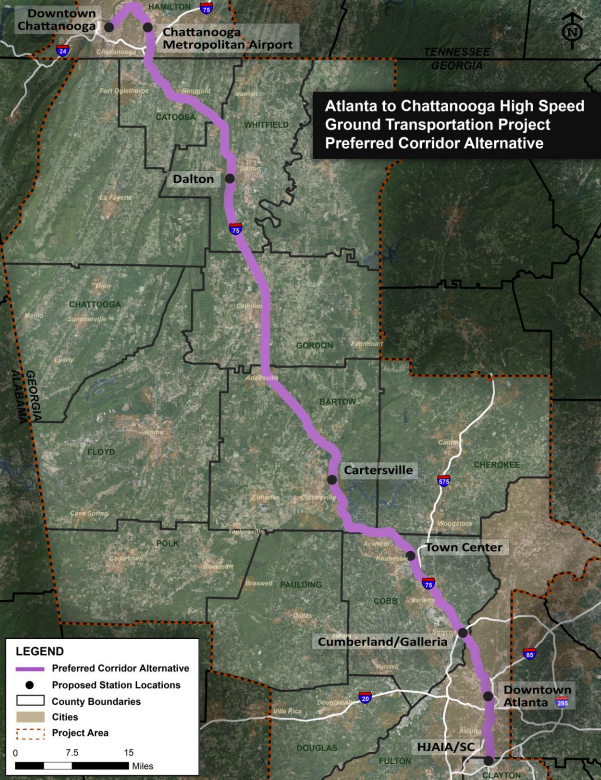 The United States’ Federal Railroad Administration (FRA) has indicated its preferred route for the Atlanta-Chattanooga high speed line. The development comes as the FRA announces the completion of a Tier 1 study – and the final environmental impact statement and record of decision – for the development after nine years of work. The 120 mile high-speed intercity passenger line will connect Atlanta, the capital city of the state of Georgia, to Chattanooga, Tennessee, along Interstate 75, to provide a competitive and more reliable choice of transport between the two cities. The preferred corridor. Credit: Federal Railroad Administration. The current preferred route includes eight railway stations and is estimated to take 88 minutes from the first to the last station. The exact alignment and details such as the train technology and maximum operating speeds will be decided in the Tier 2 study, if additional funding is secured. US transportation secretary Elaine Chao said: “This project will benefit both Atlanta and Chattanooga with more efficient transportation, while also providing rail access to the rural communities in the region.